I’m sure most of you have had many people give you their two cents regarding what’s the best diet to follow to help you reach your muscle-building or weight-loss goals. Year after year, it seems there’s always some new style of eating in order to explain why all of these other diets don’t work as well as this new, revolutionary breakthrough – whatever it may be. You might hear that all fats and carbs are bad, then a few months later you’ll read something entirely different somewhere else – that fats are actually good for you, and carbs can be used wisely to help achieve your weight loss goals. So what’s the answer and who do you trust? The truth is, a diet can help you get to the point of where you need to be to live a healthier life, but at some point you will need to find a balance in your eating habits were you can eat some of the things you enjoy and also have energy to sustain your workouts. Finding that balance can some time, but eventually you’ll feel like it’s something you can do – with a little bit of hard work at first, of course. If you start dropping calories left and right, you’ll eventually lose weight. Just like if you do the opposite and keep adding calories, you’ll eventually put on weight. However, your body has a mind of it’s own and it has to control several hormones in order to balance itself out. Stress can be a huge component of diets because people try and reach their goals as fast as possible, and when they don’t stress kicks in and cortisol levels kick rocket up. This will in turn cause you to lose muscle, sleep poorly and will eventually dramatically reduce energy levels. So it’s crucial you understand that you should try and reach your desired weight goals as fast as possible in the healthiest way possible – by making small changes every week in both your eating habits and your training, so that you can sustain losing an average of 1-2 pounds a week. If you have taken your time and slowly made the necessary changes to change your life, then sustaining that lifestyle will me much easier. Changing too many things too quickly can be overwhelming and, more often than not, is a short-term fix that won’t last over time. At the end of the day, you should try a few methods and see which one fits best into your lifestyle, for your individual goals. Once you choose that path, here are a few tips to help you make sure it’s one that you can follow consistently over time. 1. Plan ahead and understand it’s a journey, not a sprint. If you start changing your lifestyle too quickly you will also be more likely to want to quit quicker. 2. No matter what lifestyle you choose, understand that getting good quality foods is crucial for your goals. 3. 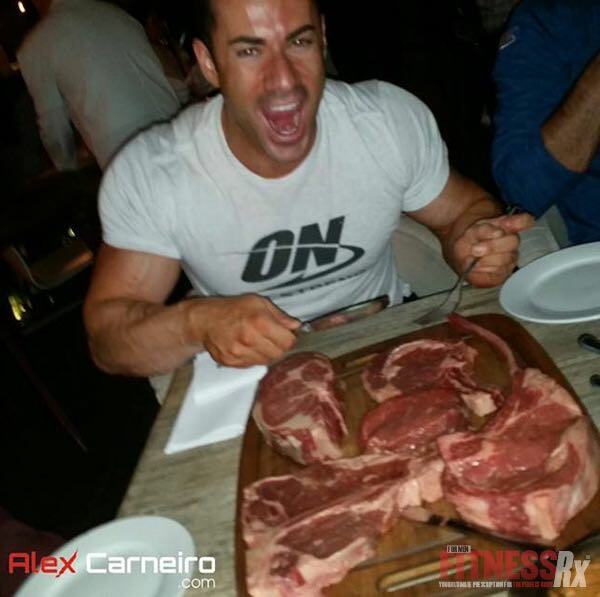 If you decide to do IF It Fits Your Macros (IIFYM), don’t just do it based on counting calories. You still need to choose foods right for you that are dense and don’t have empty calories. 4. Reward yourself once a week with a meal you want to truly eat – but make sure you aren’t rewarding yourself too often. 5. Drink 12-18 oz of water with all your meals and drink water between meals. 6. Keep a food journal log and see how certain foods make you feel in comparison to other foods. 7. If you aren’t losing weight on your current program, don’t stress and give up. Simply analyze if you are still eating more calories than you should or if you are exercising enough. 8. Cook your meals at least 2-3 days in advance so you always have healthy options and aren’t tempted to go off track when hunger kicks in. If you don’t have time to do this in advance, look into a food prepping company that can cater to your goals. 9. Most importantly, stay healthy, don’t do anything crazy that you’ve heard will dramatically change your physique, these techniques tend to back fire easily.